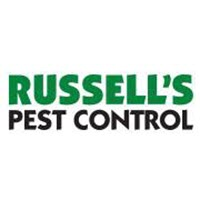 At Russell’s Pest Control, we’ve been protecting people and property from pests since 1971. We have the experience and technology to safely eliminate pest problems, no matter what the pest or how severe. If you’re looking for an East Tennessee pest control provider that has the power to prevent and is driven to protect, we are that company. It was easy to set up service and Carlos was professional and respectful. They arrive each month and I am at peace with no pest! The service is worth every penny! Wish you would call before coming. All of your Technicians are knowledgeable and friendly very courteous do a good job spraying around my house. thank all of them that have serviced my homes. I always forget about termite inspections. Russel’s is great about working around my schedule. They always do a good job. I highly recommend them. Very nice and curtness always call before coming. Thank you for the good service you give our company. You are always there if we need you. I'm impressed with the service I have received from Russell's Pest Control. Austin was extremely professional and knowledgeable, and he took the time to carefully review the details of my service contract with me and answer any questions that I had. When it came time to treat the house, he explained what he was doing and how the treatments would benefit my particular situation. You can tell when an employee likes their job, because it shows in the level of service that is provided to the consumer. Russell's must be an excellent employer, because it certainly was reflected in the thorough and competent service that Austin provided. Friendly, knowledgeable, good worker. Explained everything he was going to do! Satisfied with service & the technician who did our treatment. Very professional. The technician was friendly, informative and appeared competent. Also, he said that we should call at any time that we saw ants or other insects in the house — that our contract covered such calls at no additional cost. Carlos was courteous, professional and very knowledgeable. Most importantly to me, he called ahead and was on time. The technicians explained the pest control process. Very professional about their job. Hi. I did submit a review, but this is fine. I think you guys do great work and provide a valuable service. Your technician is prompt and friendly, and seems to do a thorough job. Everyone I spoke with or met with have all been a pleasure and really nice. Mark helped me determine what I needed and was very professional. The two technicians explained everything they would do and it didn't take long to do it. Hopefully my critters will begin to disappear quickly. Awesome service and Great Technicians.They were professional,very knowledgeable and very courteous,friendly,respectful and helpful folks to have fill our needs and did an awesome job with the extermination.Thanks so much to Russell Pest Control and a very special Thanks to the Tech's Mike,James and Sherry,we really appreciate you and recommend you and Russell's Pest Control to everyone. I am very happy with our initial service experience. Carlos, our technician, did a wonderful job during his recent visits to our home. He is extremely professional and knowledgeable. We hope he will be our Russell's technician for years to come! I called on a Friday and Saturday someone came out! Very professional! I am so happy with our yearly service!! I would like to Thank Mark Peck and Josh Stanton for their Awesome service. I have been very pleased and satisfied with my services through Russell's. Thank you for keeping me up to date by text and emails. Been a customer for over 10 years and have always been very happy with the service. We've had problems with mice, but the problem seems to be solved. Had mice in our house and I tried everything and couldn’t get rid of them. It was disgusting. After Russell’s exterminators came I have seen 1 mouse the next day and nothing since. They were very professional and would recommend them to anyone. Both Randy and the tech handling 706 W 5th Ave, Lenoir City are outstanding techs, customer service /knowledgeable representatives for Russell's. Great Service, friendly staff. I am now pest free! Thanks Russell's. The service techinican was very professional. He explained everything after very through inspection.I was very satisfied with the service. We had an emergency and russell’s Was there for us! Absolutely wonderful customer service and communication!! So glad we found them. Right on time and very professional. Thank you. Your tech that came for our inspection was very friendly and helpful And gave us great customer service sorry can't remember his name but I would recommend him to more clients thank you. The gentleman is always very personable, thorough and considerate. I could not ask for better service. I have been with this company for a few years now and I like their service. Their People are very nice and professional. They very good and take care of problem when needed. Well having problems with mice need to know when next time out to get under control.